With limo services being our number one priority for our customers, we strive to give the best in limousine rental and tours. We give an exceptional experience to our customers with the wide variety of vehicles in our fleet. We have a widely experienced and trained staff that treats each customer with the up most respect and dignity. With VIP status for our customers and the wide services we proclaim to your clients, we stand alone as one of the best limo rental companies you can hire. With these great attributes, here is some of the great services that we offer to you. We provide the best selection and variety for your limo needs. Our fleet is fully stocked with the best vehicles for your choosing. We have many types of limos and cars for you to select from. This includes specialty cars, antique cars, as well as SUVs and the typical stretch limousines and regular limo. With this selection, you pick for any of the special occasions that you have in mind, and not worry about the idea of not having the right limo for your needs. Our staff is trained very well in the regulations of driving and customer service. Our drivers are well equipped with the city surroundings, allowing them to cater to your needs with very destination in mind. Along with the locations in mind, the drivers are well dressed to impress not only you, but the others that you have contact with. They wear only the best in fine clothing and fabrics, as they chauffer you around in class and style. We have all types of services and locations that we drive for. This includes the everyday businessman or the out of town individuals that want a royal tour of the city. With these great services, our rates never change and are presented as an affordable venture for you. We tackle all budgets and exceed your expectations in the process. With this understanding, we cater to everyone’s budget, making sure that you can enjoy our services, at a low cost. VIP treatment: The way you should be treated. Our staff is very client originated. We treat each of our customers with friendliness and royalty. 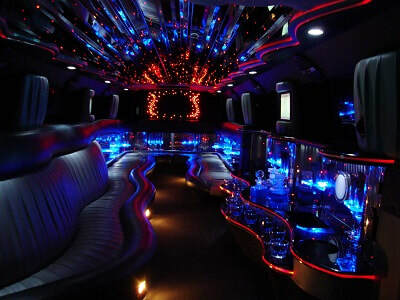 With this VIP status, you will enjoy a renowned limo ride to your destination with the lap of luxury. Our drivers will open and close the doors on pick up and deliver, as well as roll out the red carpet if need be at your venue. With all of these great services, we are here to make sure that your limo rental is not just another incident. We pride ourselves on customer service and satisfaction. We only want the best for you and your needs as you use our renowned limousine services in Montreal and Rive-Sud or South Shore. Call or click today to get your limousine Montreal VIP service reserved with us.